The first principle of existence is that you are aware. Nothing else can truly come before this fact. Why? Well because first and foremost there has to be an awareness that can take in whatever input is received by the world or the universe. Every creature or sentient being that has ever existed must have had an awareness to function in the biological or non-biological realm that they developed from. What all the sentient beings in the universe share is awareness, and whether one decided to classify something into a lower “kind of awareness” that does not really matter for our topic right now. When one goes down to the core of it, awareness is simply the actless state of being aware. In non-dual school of thoughts, awareness is sometimes called the substratum for all existence, where it is described by negating what it cannot be. The first principle, awareness or the pure consciousness, can be called the formless substratum, which permeates the entire cosmos. How can one know this fact? One looks within and without to see what one is truly made of. The universe is mostly made of stuff of which our instruments can’t register or perceive, that is the majority of the stuff of the universe is made out of dark matter and dark energy. The “dark” term is simply the unknowingness of the cosmologist about what it is, henceforth the referring to it as dark. According to cosmologists, the universe is made out of 4% matter, 30% dark matter and 70+% dark energy. Perhaps it may be something similar with our conscious realities here on earth as human beings, because in truth nature is self-similar in different scales. Which simply means that for example the complexities that govern the functioning and nature of a solar system could be identified and reflected in how an atom and electron move about in the minute scale. If we can play a little game, where we take the cosmological data that I just outlined and apply them to our own conscious reality as human beings, what could we extract from this thought experiment? Lets give it a try and see. Lets say the 4% visible matter in the universe corresponds to the consciousness and our perception of our physical bodies. And lets take the 30% dark matter which is invisible and apply that to our mental and emotional reams as human beings. And then let us leave that 70% dark energy unsolved for the moment, as we will come back to it soon. Now 34% of your reality is in someway perceivable, though the 4% is very palpable and visible to our eyes, but the 30% are somehow internal dimensions of your own being. You cannot hold a thought in your hands. In other words, this 30% consisting out of “dark matter” is definitely there but we just don’t know how to physically and concretely display it for our five senses. Is it merely in the brain? Which parts of the brain? The right side, the left? The middle? Some contemplate that the brain is but a receiver of thoughts and feelings from a deeper dimension of reality. The brain doesn’t produce consciousness, it’s just an antenna. Interesting thoughts indeed. We cannot confirm for sure either way. But what about dark energy? The rest of the “stuff” of the universe. The factor that is responsible for the exponential expansion of the universe. That hidden layer of energy which is much more powerful than gravity (in a sense). How can we access that? If it indeed is approx. 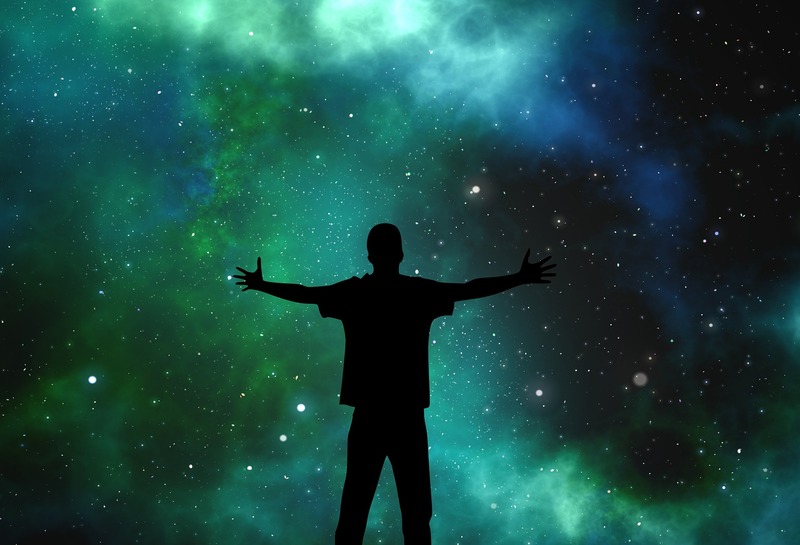 70% of the universe, shouldn’t we in some way be permeated by its presence in our lives too? The same energy that is expanding the universe, is found in your own consciousness. You can witness it if you are silent enough. This is the spiritual quest to enlightenment. In a sense your consciousness is growing and expanding every moment. Each time you contemplate your own existence with a meditative attitude, your beingness is expanded subjectively. You come to incorporate more and more. You become less choosy and less of “person”. Dark energy isn’t really dark. Its dark for our senses but not for our original mind. Our original minds rejoice in it.